ISSUE 129: Innovation or Efficiency? DevOps teams are involved with security but they need to do more. Two recent studies show that tooling is inadequate and that security is not properly integrated into the entire DevOps process. A DevOps survey of over 1,000 IT pros by Logz.io found that DevOps handle security at 55 percent of organizations. 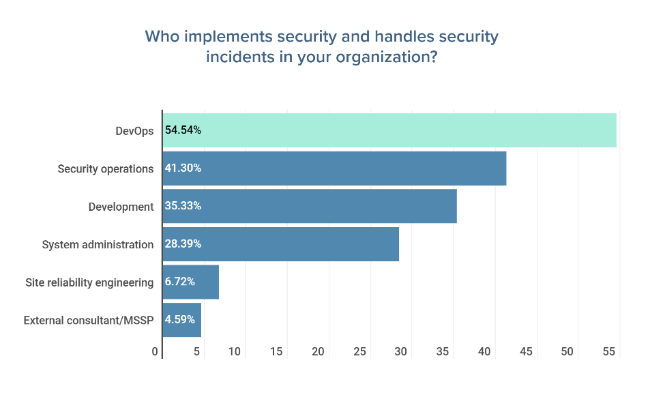 The finding is unsurprising because 1) efforts to shift security left have often been implemented by DevOps teams responsible for interacting with the entire organization, and 2) 32 percent of the respondents were DevOps engineers. Whether or not this means these organizations actually do DevSecOps, 56 percent said they are at least beginning to implement the practice. Camille Eddy, currently a student pursuing a mechanical engineering bachelor’s degree at Boise State, already has a long career as a high-tech robotics intern at places like Alphabet and HP. She’s currently interning at Nvidia, in fact, when she’s not out on the speaking circuit. At OSCON, she spoke to us in this episode of The New Stack Makers podcast on the topic of recognizing cultural bias in AI. One of the benefits that advocates used to tout about open source software is that it saved money, compared to the costs of buying proprietary software to do the same task. While this may be true for basic programs (such as GIMP, the photo editing software we rely on daily at The New Stack), no one using open source software to handle complex tasks in enterprise makes the claim today that they do so because it is cheaper. Or few do, at any rate. The value proposition around something like the Istio service mesh is more centered on the flexibility that the software offers. This flexibility, however, does indeed come with a price-tag, namely the feeding and caring of developers who know how to manage it, and integrate it with other components. This week, Oracle introduced its Autonomous Database for transactional processing. What “autonomous” means in Oracle’s context is that the database is self-healing, self-securing, and auto-scaling. So it’s really more like a proprietary database service, really — one that may get its edge from relentless automation. And like any service, there will be monthly bills, but in presenting this technology, Oracle founder Larry Ellison made the argument that using the Autonomous Database would actually save money in the long run, in that it requires far fewer personnel to maintain, and less hardware to run, given its greater, machine-learning enhanced, operational efficiency. Is he right? If there is anything we’ve learned in this biz, it’s to examine all numbers very closely. At the end of the day, efficiency in IT all comes down to providing the cheapest compute for the [fill in your currency of choice]. And Mr. Ellison, nothing if not an ace salesman, shows us there is more than one way to meet that goal. Another day, another portmanteau. DevSecOps — an expensive target on AdWords — tries to fit security into the DevOps process. It’s kind of silly because of course companies should be factoring security into their development, particularly when much of DevOps is about enterprises releasing applications faster. In this post, our European correspondent Jennifer Riggins describes a talk by Amazon Web Services’ Senior Solutions Architect Margo Cronin on how this company did DevSecOps. In short, it’s all about security automation. Analog materials are still the most effective way for most people to learn anything, yet the state of today’s instructional books on software development are pretty terrible, offering confusing or simply useless explanations of concepts, and then providing code samples that are overly simplistic or just plain stupid. Our development reporter Michelle Gienow casts a critical, and humorous, look at the state of IT book publishing in 2018. Our series of machine-learning-made-easy tutorials from analyst Janakiram MSV continues. A couple of weeks back Google unveiled a set of machine learning services, AutoML, for classification of images, translation, natural language, and vision. Now Janakiram shows how easy it is to train a model to classify an image of a dog based on its breed, using only a few lines of Python code. It’s the second year of Sensu goodness in Portland. Join us for two days of technical talks, tutorials, discussions, and hallway track conversations about making the most of your monitoring setup! You’ll hear from speakers such as Kelsey Hightower, Sensu Core and Enterprise users, and folks from T-Mobile, Workday, Box and more on how they are using Sensu at scale. 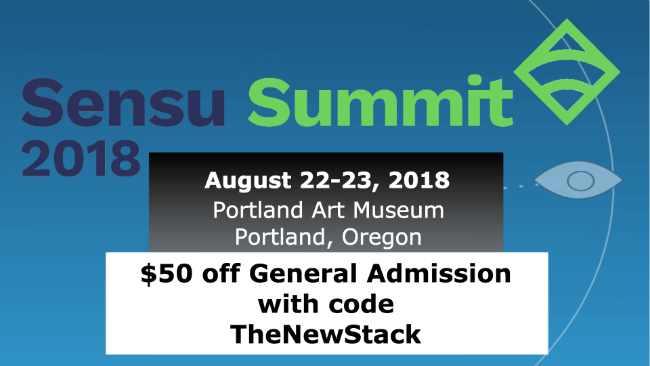 $50 off General Admission with code TheNewStack. Register now! Kubernetes helps accelerate software delivery in much the same way containers improve the delivery process. While the benefits of containers in the DevOps, continuous integration, and continuous delivery pipelines will be familiar, many developers and DevOps teams are still figuring out how to best implement Kubernetes. 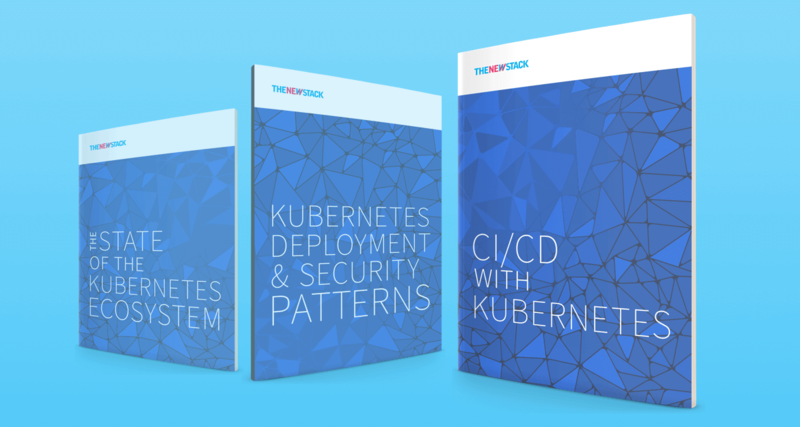 In this ebook, we’ll explore use cases and best practices for how Kubernetes helps facilitate continuous integration and continuous delivery.